The objective of Gaming-fans.com is to bring fans the best possible content for the games we cover, and Star Wars Galaxy of Heroes has been our biggest focus since day one. In that quest for great information we often find videos from different sources, and today we bring you a video that we wanted to highlight from MobileGamer. While he seems to miss one obvious site that gets a ton of traffic when referencing resources in the video, we’re big fans of MobileGamer here at Gaming-fans.com and wanted to bring attention to this great video. Today EA SWGoH GameChanger Mobile Gamer tells us which Mods to Slice in Galaxy of Heroes. 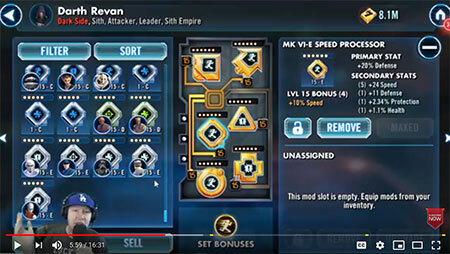 Since Mods 2.0 the way we look at mods and secondary stats is more evolved than ever before in SWGoH, and this video focuses on how to prioritize these mods and focus on those we need to strengthen our rosters. 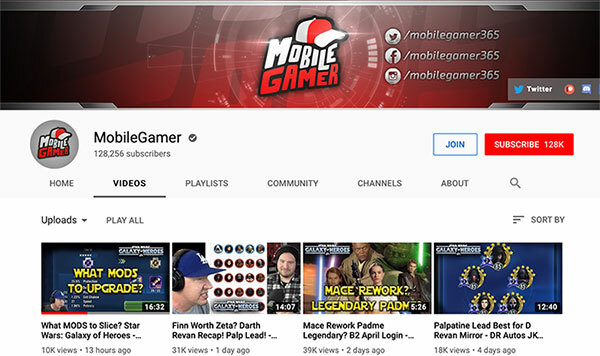 Click here or the image below for the latest SWGoH video from Mobile Gamer. Be the first to comment on "SWGoH: Mobile Gamer tells us which Mods to Slice in Galaxy of Heroes"